Many people are fond of seeing hammock chairs outside the house. In the gardens, on their porches, on patios, and decks...they help enhance the curb appeal of any home. They look great while outside as they make it possible for one to enjoy nature especially during summer. The sound of birds in the air and a cool breeze makes relaxing in a hammock chair a more memorable experience. While hammock chairs are commonly placed outdoors, there is still an option of having them installed indoors. It is true that they can consume a lot of space considering that many have to be installed with stands, but all in all it is still worth the trouble. Those who live in flats and apartments can still enjoy a quiet and relaxing time in an indoor hammock swing chair. There are so many areas of the house that one can install an indoor hammock chair. It all depends with the preferences of an individual and the size of the rooms that one has. It is possible to install an indoor hammock chair by hanging them from the ceiling, which looks great in bedroom and living rooms. Others may also hook them on walls and still be able to have them strongly attached. The installation can be done by professionals who ensure that it is properly attached and that no accidents are caused. For many this is normally the best option when it comes to installing an indoor hammock swing chair. Can imagine yourself swing in the hammock chair while watching some good programs probably watching sports. It is a very relaxing time and a time to forget about the many office tasks that have not been done. The TV room is normally the most spacious room in the home and thus a good place to install your indoor hammock swing chair. You need to be free to swing without being worried about hitting someone or damaging an item that is placed near the hammock chair. There is no rule that says that an indoor hammock swing chair has to be placed in the TV room. It is an individual’s choice and also depends on where there is space. One may opt to place the hammock chair in other rooms. Even the bedroom is a good option. For those who would love a place to relax and read a book, the bedroom can be a great idea. It is also possible to have more than a hammock chair in a room as long as it is spacious enough. 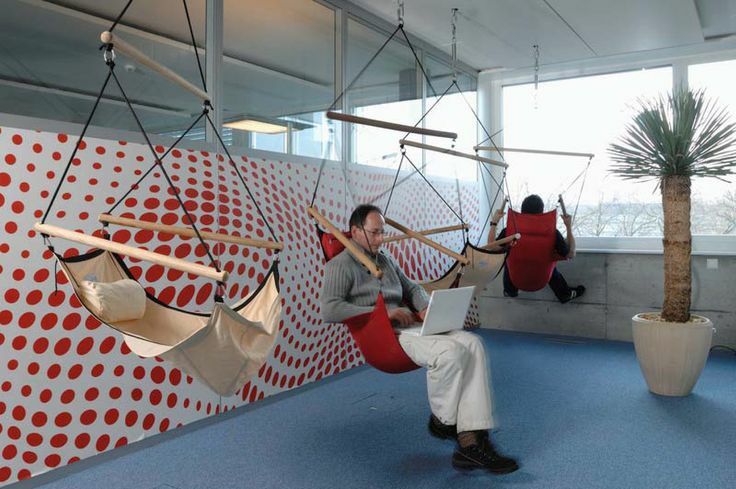 If you'd like an extra seating area within your office that can be removed or added as needed, hammock chairs make a great addition to any office. You can use it as a space to relax and think, or seat guests that come to visit. It is a good idea to take into consideration the space and room where you are going to install your indoor hammock swing chair before you go out shopping for one. This is because the space you have will influence the size and design of the chair you are going to buy. 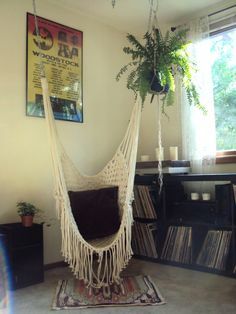 If the space is not considered then you may end up buying either a hammock chair that is too big to fit into the available space or one that is too small that prevents you from having a good time.